Using a combination of screen-printing, collage and painting, Greg Gossel builds up his mixed-media pieces layer by layer. Greg Gossel was born in Baldwin, Wisconsin in 1982. He pursued an education at the University of Wisconsin-Eau Claire, where he graduated with a Bachelor of Fine Arts degree in graphic design. Using appropriated images from vintage pulp fiction novels, romance comics, old newspapers, and fashion magazines, Greg’s work deals with bits of collective history, consumerism, and inequality. 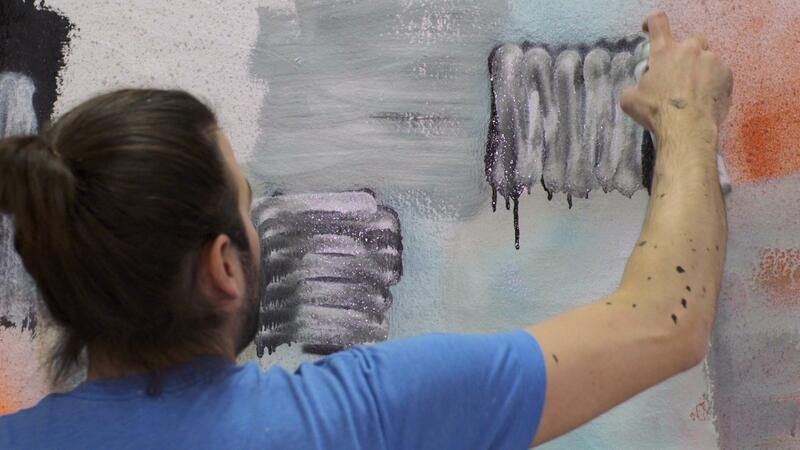 His pieces incorporate collage, spray paint, and graphite. In December of 2009, he was selected to work on a 30 by 60 foot mural on the facade of the Aqua Art Fair for Art Basel Miami. His work has appeared in publications such as The San Francisco Chronicle, Juxtapoz, and ROJO. Music by Plastic Constellations, "Ditched & Drowned" from the album, "Let's War" on Modern Radio Records. Greg Gossel builds mixed-media pieces using screen-printing, collage and painting.